Lee Chandler is a handyman working in the Boston area who gets the call that his brother has died in nearby Manchester, the town they both grew up in. 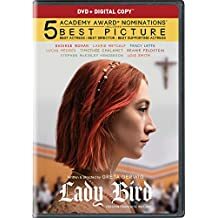 Lee goes back to settle his brother’s affairs which unbeknownst to him, include becoming guardian to his teenage nephew, Patrick (Lucas Hedges). There are reasons Lee left Manchester, one of which is his ex-wife (Michelle Williams) and the emotional reasons why she is his ex-wife. Now Lee is forced to return to the town, family and memories he left behind. The movie felt very real to me, just like a slice of somebody’s everyday life. Lee falls asleep on the couch and burns the spaghetti sauce; he has to drop off and pickup his nephew from school, from band practice, and from his dates; he has to deal with his brother’s business; and he has to sort out his life whether it is in Manchester or not. The routine, day to day things were part of the movie, which I liked. Affleck was pretty good in the lead, good enough to win the Best Actor Oscar. Michelle Williams was nominated for Best Supporting Actress, which surprises me because even though she was very good in the film, she was only on the screen for maybe fifteen minutes. Is there no minimum time requirement to be nominated for a supporting role? While the movie did feel very real, it also felt very slow at times. I suppose life doesn’t always move at the quickest pace, but I like my movies to move a little faster than the everyday. It took about three quarters of the movie for me to really become invested in these characters, and finally once I was hooked, the movie ended. There was no real resolution to things, you don’t really know the characters’ futures, life just keeps on going, but it felt like the story ended mid-paragraph. A good story leaves you wanting more, and I really did want more but I think that was because I wanted closure to the characters. Was I a little disappointed with the ending? Yes. Did I enjoy the film for the entire run? No. But, once they revealed a few key plot points, the preceding hours of the film suddenly became a lot more enjoyable to me. Definitely worth watching, but I’d say be prepared for a slow burn, and some boredom before the film actually gets good. Bottom Line: Casey Affleck mumbles a lot… Apparently that gets you an Oscar now.